Avid cruisers, my husband, Rob, and I were seeking a North American destination close to our Arizona home. 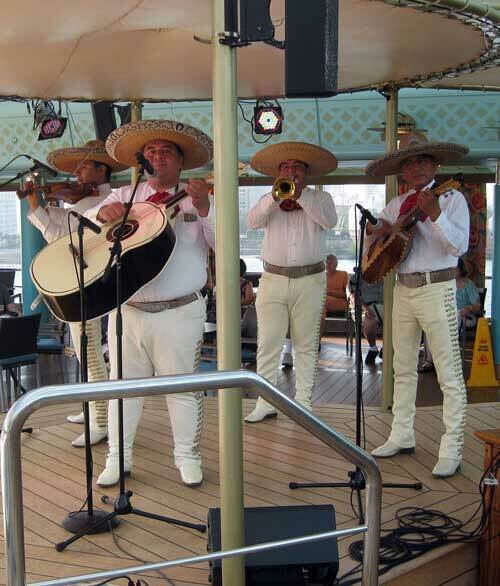 When I discovered Holland America Line offered a Mexican Riviera round trip cruise from San Diego, I was sold. 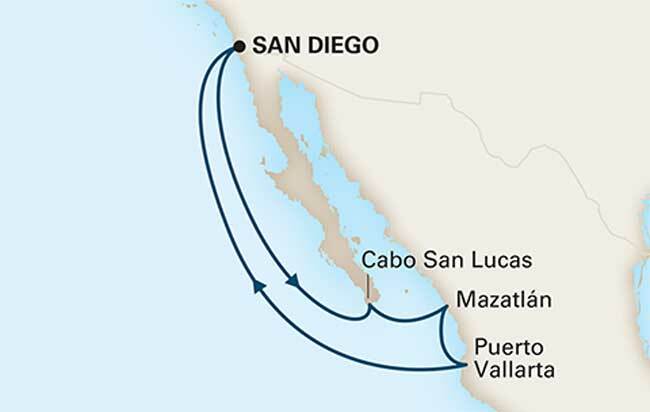 The Mexican Riviera cruise season runs October through April when temperatures are moderate. 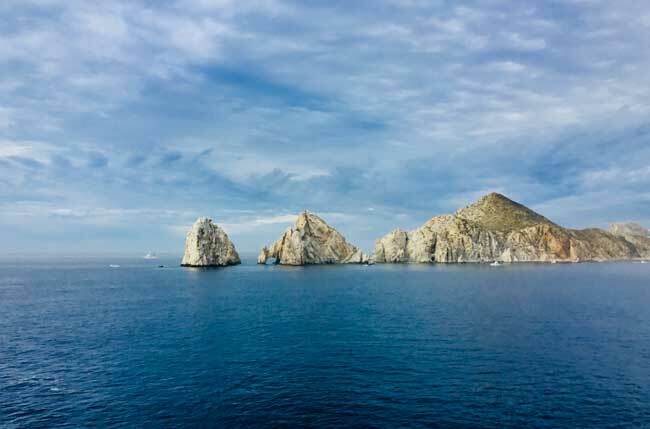 The 7-day cruise on the Oosterdam visited Cabo San Lucas at the southern point of the Baja Peninsula, as well as Mazatlan and Puerto Vallarta on the Mexican mainland. 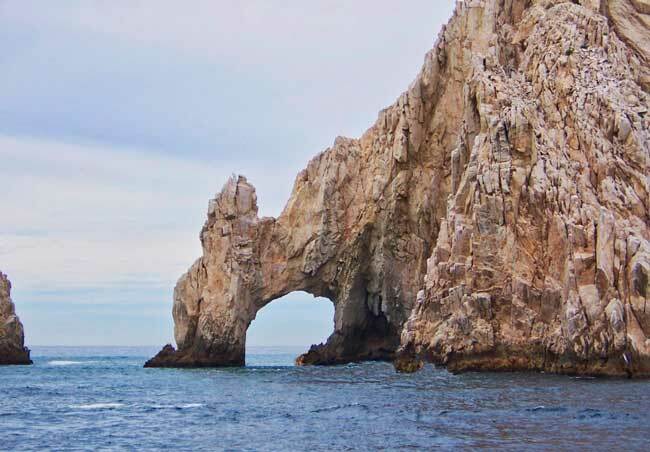 Cabo San Lucas lies where the Pacific Ocean meets Sea of Cortes. Massive granite arches beckon cruise ships to this colorful port. Mazatlan has its roots in Aztec culture. In Old Town Mazatlan, the Cathedral of the Immaculate Conception’s majestic twin towers dominates the narrow cobblestone streets that are typical of Mexican cities. The newer section in this city of 500,000 has wider streets, plus breweries, a casino and resorts. A bevy of hotels, chain stores and fast-food restaurants welcome tourists and winter residents. As the Oosterdam docked in Puerto Vallarta, we immediately noticed the nearby Walmart. This thriving tourist town has spiffed up the port area to spur tourism development with familiar American stores and eateries. Typical shore excursions in the three ports include city, shopping, cultural and whale-watching tours. Beach excursions, as well as tequila and beer tastings, are popular options. 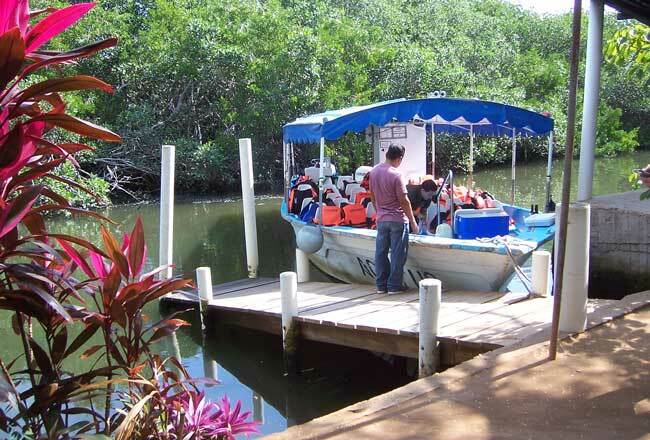 Adventuresome guests can ride horses, snorkel, zip line, parasail, or go sport fishing. In Cabo, we rode an excursion boat for a closer view of Land’s End arch rocks, followed by a bus ride to a scenic location for photo ops. At Mazatlan, Rob took an estuaries and bird watching expedition down mangrove and palm waterways to see brown pelicans, sea hawks, blue heron and other exotic waterfowl. My Mazatlan city tour did a quick take on cliff divers and the cathedral. 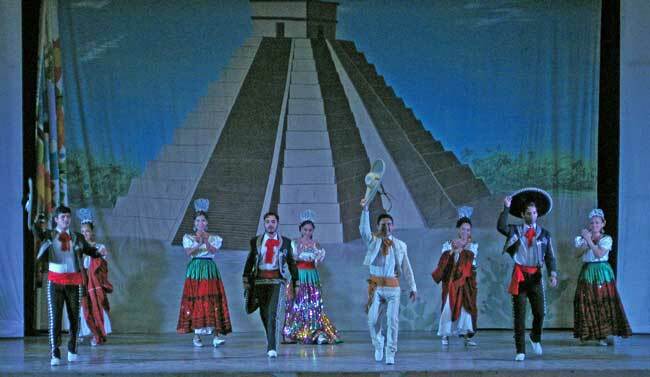 Then we spent more time at a professionally choreographed Mexican Folkloric show. The tour ended with time for lunch or shopping. After a short shared cab ride in Puerto Vallarta, we carefully climbed the steep steps to Our Lady of Guadalupe Cathedral. The beautiful interior was worth the effort. After making our way through the vendors in front of the church, we strolled along the malecón, a broad oceanfront walkway with sculptures, street performers, shops and cantinas. During all our port visits, we felt secure on the ship’s organized tours as well as on our own. Tour guides, bus/cab drivers and merchants were polite and treated us with respect. Taxis were plentiful and affordable. Holland America is known for great food, and this voyage raised the bar. At the upscale Pinnacle Grill ($35 dinner, $10 lunch on sea days), our tender, juicy steaks and vegetables were cooked to perfection. A subtle light show that played on the jellyfish shapes on the ceiling enhanced the elegant atmosphere. 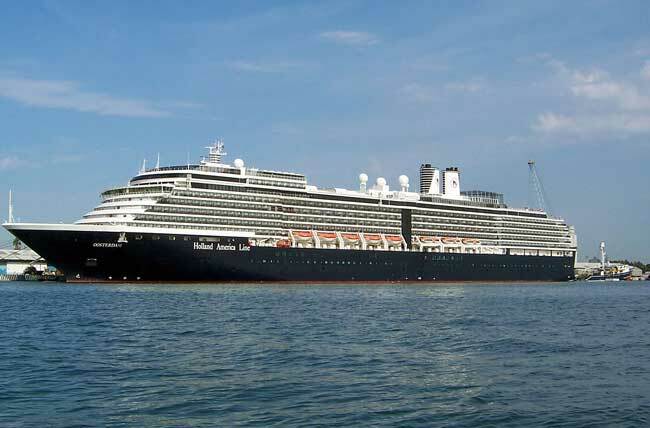 The 7-day cruise on the Oosterdam visited Cabo San Lucas at the southern point of the Baja Peninsula, as well as Mazatlan and Puerto Vallarta on the Mexican mainland. Canaletto on the Lido deck appeals to guests who like Italian food with small plate dishes to share ($15). The bi-level main dining room offers fixed times or open dining. It boasts an extensive menu with five-course meals elegantly presented. Guests also can order room service. Our breakfasts arrived hot and on time. In the Lido buffet, the smiling and eager-to-please crew created a happy dining environment for guests to meet and mingle. This carried through the entire ship. The Lido buffet salad bar boasts an extensive array of fresh greens chosen by guests and served by a gloved crew member. We enjoyed starting lunch with a large bowl of our favorite healthy greens. Holland America ships consistently receive high health inspection scores, and hand sanitation stations throughout the ship facilitate staying healthy. Returning guests noticed several improvements. Formal nights have morphed into gala nights with a more relaxed dress code. Cabins have wall-mounted flat screen TVs. Guests can get ship and shore excursion information on their cabin TV or from personal smart phones and tablets. If guests need Internet help, they can take their devices to the front desk. Throughout the cruise, observant guests saw numerous migrating whales and playful porpoises. Guests had ample opportunities to learn about Mexican culture, heritage and cuisine. A lively Mariachi band played Mexican music, and colorful Folkloric dancers created a fiesta atmosphere. In addition to typical spa treatments, Evergreen Spa offered a 7-day pass to its relaxing warm hydro pool with many jets to sooth aching joints and tired muscles. 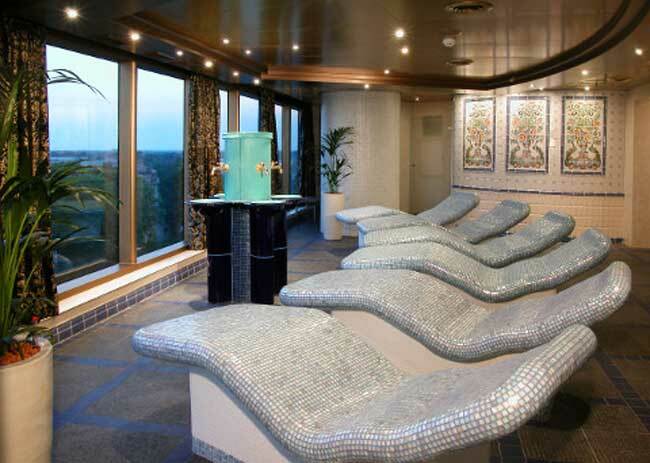 In the thermal suite, spa guests could also use a steam room and relax on a heated ceramic lounger with soft music and an ocean view ($149). 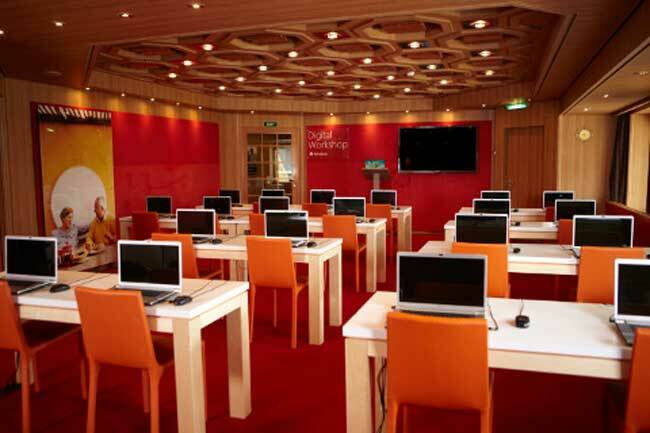 A Microsoft instructor taught numerous software classes in the Digital Workshop. Guests took exercise and craft classes, improved cooking skills in America’s test kitchen, attended daily Catholic Mass, and played bridge, bingo, trivia and other games. The Oosterdam offered a wide array of music from a string quartet playing classical, to show tunes and contemporary. B.B. King’s Blues Club was a popular venue. Comedians, dancers and other entertainers performed nightly. Cruise lines are attracting younger guests, singles and families of all ages while retaining veteran cruisers. During our Holland America voyage, generations from all backgrounds blended nicely. Congenial, well-trained smiling crew members from 30 countries were eager to serve. In an era of mass shootings and abrasive discourse, this cruise was a model of civility and respect for one another. The congenial mix of guests and crew was as beautiful as the warm sunny weather. My most poignant memory was on a tender (smaller boat that ferries passengers ashore) in Cabo San Lucas. Just as the tender moved in position to transfer guests, the waves increased. Four skilled crew members lifted a woman in a wheelchair safely to the ship platform from the bobbing tender. I led the applause for the heroic crew. For a more enjoyable visit, wear sturdy comfortable shoes to navigate Mexico’s cobblestone streets, steep stairs and high curbs. To learn more about Holland America cruises, visit www.hollandamerica.com, call 1-877-932-4259 or contact your travel agent. Author Bio: A widely published cruise and travel writer, Pat Woods urges readers to SKI (spend the kids’ inheritance) on a cruise.